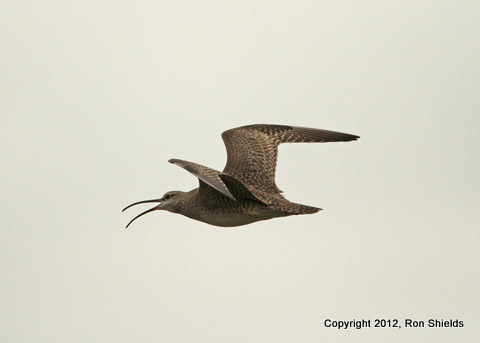 The Whimbrel flew out of Harrier Meadow around 12:30 today, disappeared briefly, circled and apparently left for good. Five of us got to see it on our impromptu walk. 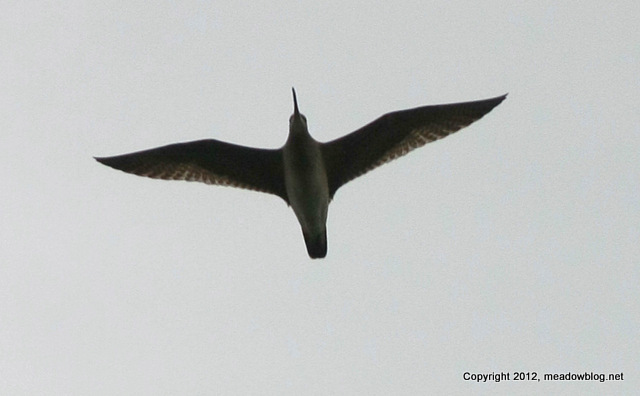 Ron Shields got some terrific shots — we hope to post tomorrow. 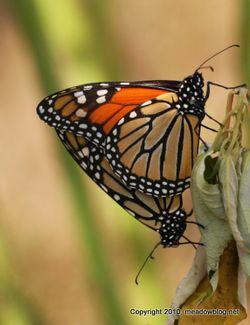 pivotal role for the Monarch Butterfly. Writes Don: Since we are approaching a fiery presidential election, I thought I would throw my hat into the political ring. I already have my campaign slogan, 'A Milkweed in every yard.' I am not sure how many states I would win …. but I will take my chances; the Monarchs can certainly use our help." 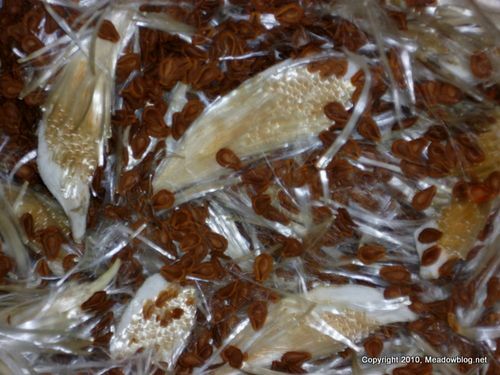 Don has donated so many Milkweed seeds to the Meadowlands Commission that we call him "Donny Milkweed Seed." 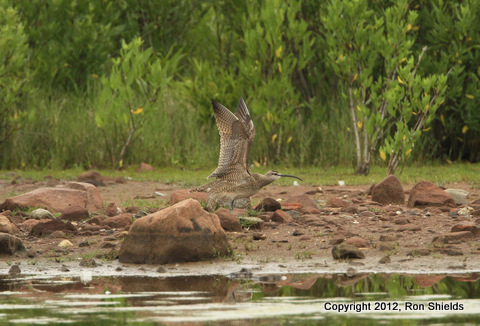 NJMC Naturalist Mike Newhouse spotted a Whimbrel in Harrier Meadow. 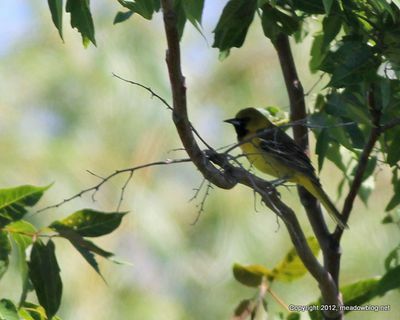 The bird was still there as of 9:45 a.m.
We think this might be the first Bergen County record for this bird since the mid-1970s. 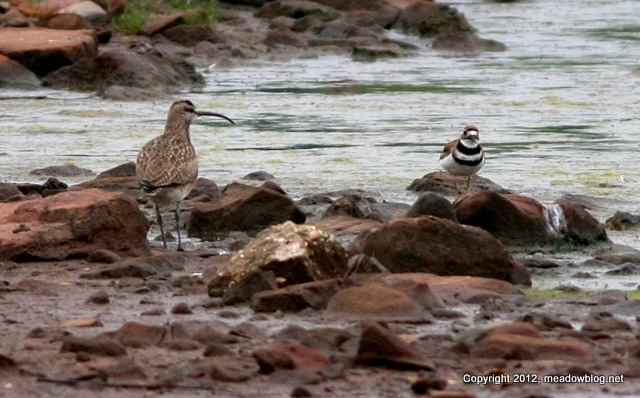 The commission plans to have an impromptu lunchtime walk at Harrier Meadow for anyone who would like to see the bird between noon and 1 p.m. Contact Jim Wright at jim.wright (at) njmeadowlands.gov or 201-460-2002 before 11:30 a.m. if you plan on attending. Be sure to bring bug spray! Yesterday's Teaser was photographed earlier this month at Laurel Hill County Park. 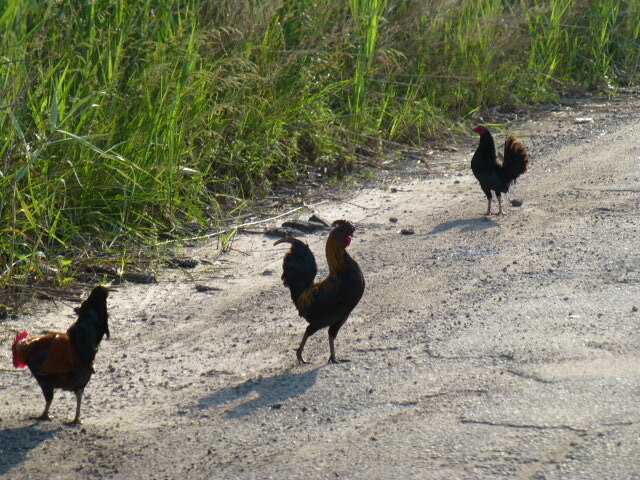 "Outwater Lane (home of the new River Barge Park) has cats, skunks, raccoons, rabbits, and now yesterday morning, roosters! Still looking for the deer." 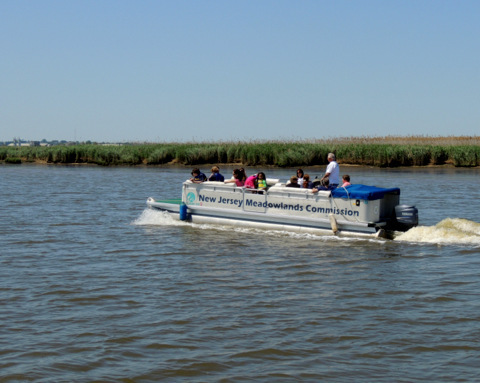 The Meadowlands Commission and Bergen County Audubon are teaming for three great events this month. 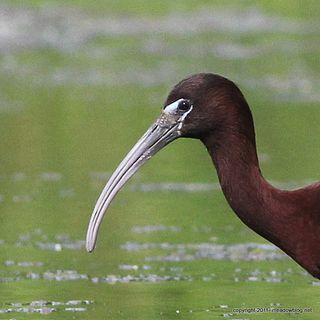 We have the annual Kearny Marsh Cleanup this Sunday, a DeKorte Plant Walk on June 10, and a Third-Tuesday Bird Walk at DeKorte Park on June 20. Info on all three events follows.